From left to right: Andrea Salinas, undergraduate student; Iolanda Ramalho da Silva, Postdoc; Carolin Frank, PI; Jackie Shay, QSB PhD candidate; Oscar Elias, undergraduate student; James Kupihea, ES PhD candidate; and Jorge Montiel, ES PhD candidate. Carolin Frank (Principal Investigator) Associate Professor Carolin Frank has a M.S. in Molecular Biotechnology from Uppsala School of Engineering, Uppsala University, Sweden, and a Ph.D. in Molecular Evolution from Uppsala University, where she worked on molecular microbial evolution with Dr. Siv Andersson. Carolin briefly worked on the molecular evolution of yeast genomes as a Swedish Research Council Postdoctoral Fellow with Dr. Ken Wolfe at Trinity College, Dublin before joining the UC Merced faculty. 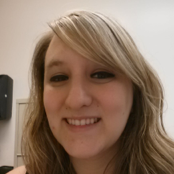 Jackie Shay (PhD candidate 2016-present). Jackie has a M.S. in Evolution, Ecology and Conservation Biology from San Francisco State University. She received her B.S. in Molecular and Cellular Biology from UC Merced in 2009 as part of the inaugural class, and is thrilled to join the UC Merced community for her doctoral studies. Jackie uses genetics, ecology and evolution to discover systems of fungal and bacterial microbiomes of plants. She is focused on understanding how these systems contribute to habitat adaption, climate change, and niche breadth. Her goal is to apply these themes towards enhancing our relationship with plants and their microbial communities. 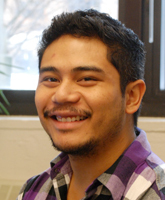 James Kupihea (Ph.D. candidate, August 2015-present). James joins us from Michigan State University, where he did his Master’s Thesis work in biogeochemistry. James holds a B.A. and a B.S. from Evergreen State College. At UC Merced, James has already been involved in our Dimensions of Biodiversity project on nitrogen fixation in conifers. As a Ph.D. candidate in Environmental Systems, James combines acetylene reduction assay, stable isotope analysis, and molecular methods to gain a better understanding of this system. Jorge Montiel (Ph.D. candidate, August 2015-present) Jorge Montiel, joining us from Mexico City, is a PhD candidate in Environmental Systems. He is interested in researching the fungal communities of vernal pools. He obtained his B.S. in Biology from Metropolitan Autonomous University (UAM) and Master’s degree in Life Sciences in Environmental Biology from the Scientific Research and Higher Education Center of Ensenada (CICESE). 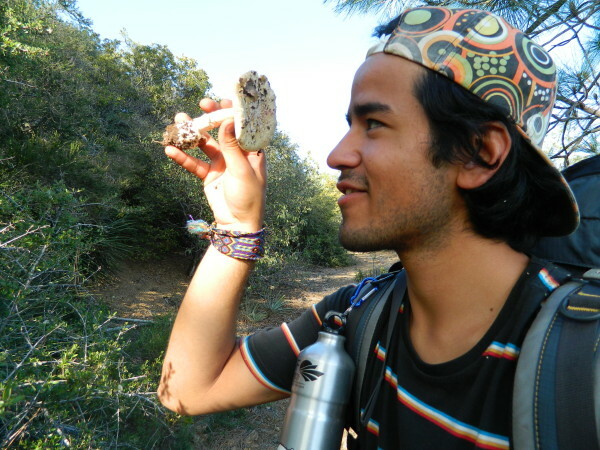 His interests range from conservation biology, plant ecology, and mycology to small mammal studies with an emphasis in endangered species and habitats. Oscar Elias, undergraduate student. Oscar is working with James Kupihea on our Dimensions of Biodiversity project. He and James measure the rate of nitrogen fixation in Sierra lodgepole pine across age groups, from new seedlings to adult trees.